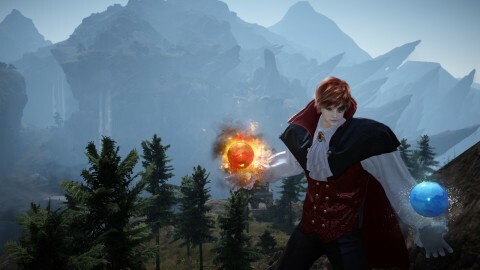 Black Desert Online KR Patch Notes will be released on every Wednesday (KST), instead of Thursday, from now on. New quests and challenges for new and returning players have been added. 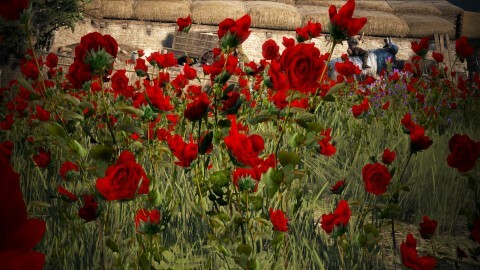 - New and returning players mean those who can enter the Olvia server. - If you are new or returning player who have completed [Boss] Witch-Hunting, you can receive the quest [Weekly Event] A Rising Adventurer from the Black Spirit. The quest can be accepted again 7 days after completion. - You have to be in a guild to complete the quest. Use [Event] Unidentified Map Piece to summon the Treasure Box. 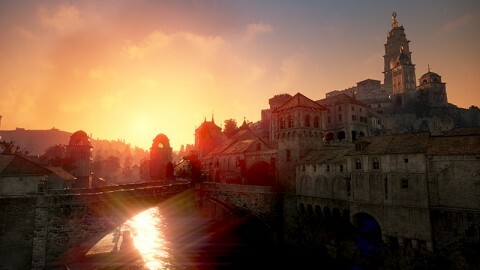 Defeat the Treasure Box and obtain [Event] Treasure Box Piece and turn in the item to Amerigo in Heidel. You can get 100G Gold Bar as a reward. - [Event] Unidentified Map Piece is obtainable once per day via a challenge only for new/returning players. The character will face you when you enter the game. Swimming mechanics have been improved. - Changing directions while swimming/diving will be easier. - The character can swim backwards in a diagonal direction. - The character will immediately respond to keyboard inputs. - The amount of Stamina recovered during the Stamina recovery action has increased by 50%. - The character will enter the Stamina recovery mode when Stamina drops below 100 while floating on the water. - The character will enter the Stamina recovery mode when Stamina drops below 100 while auto-swimming. 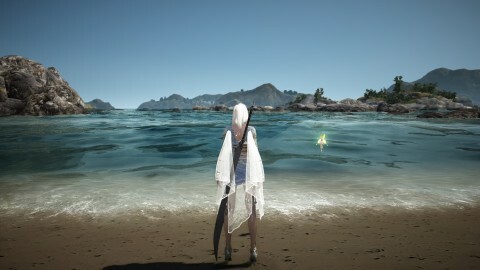 The character will start auto-swimming again when Stamina is recovered above 1000. Fixed the issue where the skill effects for grab skills did not work properly. Fixed the issue where the characters’ tooth were black in the Remastered mode. Fixed the issue where the AoE for Turn-back Slash was the same for all skill ranks. Fixed the graphical awkwardness of the base outfit in combat stance. Fixed the issue where there was no difference with the Lucien Blanc Armor in medium graphical settings and very high graphical settings. The Maehwa can now use Absolute: Blooming while Chase I is on cooldown. The last hit of Black Spirit: Meteor Shower will have Down Attack effect. Black Spirit’s Rage can now be used with Equilibrium Break, Detonative Flow, and Thunder Storm. - The new Black Spirit’s Rage skills require 10%, 25%, and 50% Black Spirit’s Rage, respectively. You can use the skills by pressing F, LMB, or RMB. - The skills have more number of hits, larger AoE, and higher damage. Fixed the issue where the Witch could not use Detonative Flow while sprinting in Aad Sphera combat stance. Black Spirit: Fissure Wave will knock the target down from a horse. The text “pushes targets on good hits (PvE only)” has been added to the skill description of Fissure Wave and Black Spirit: Fissure Wave. Black Spirit’s Rage can now be used with Cataclysm, Water Sphere, and Hellfire. Black Spirit: Aqua Jail Explosion will knock the target down from a horse. The cooldown of Ninjutsu: Block Jump has increased to 18 seconds. Black Spirit’s Rage can now be used with Lunar Dash, Sah Spree of Sonan, and Chain Crash: Sah Chakram. Black Spirit’s Rage can now be used with Sudden Decapitation, Sura ChaoSpree, and Bloodthirst: Katana Shower. The graphics of Black Spirit: Beheading the Dead have been changed to match the actual AoE of the skill. Fixed the graphical glitch on the shoulder part when wearing Ahon Kirus Armor and Vediant together. Fixed the graphical glitch that occured when wearing Crown Eagle Armor in certain character templates. Fixed the graphical awkwardness that occured when wearing Nouse’s Shard Gauntlet costume. Fixed the graphical awkwardness on the stockings and the arm part that occured when wearing Floree Armor. 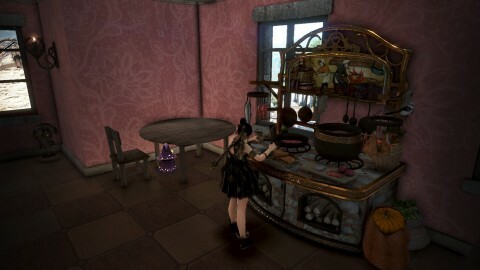 The following Lahn costumes can be crafted in costume mill. The following items have been added in the Amity Shop of NPC Srulk, the wharf manager in Epheria. - Your Amity must be above 300. The item costs 300 Amity and 150,000 Silver. - Srulk’s Small Fishing Boat has 1 cargo slot and 20000 life. The background image of the Ancient Light item will be transparent. Fixed the issue where item description of Jack-O-Lantern Ornament did not include the text regarding movement speed buff. The text “the item will be deleted if you are kicked out from the guild” has been added to the item descriptions of some guild items. Fixed the wrong crafting information in the item description of Hugon’s Lancia. Price will not be displayed in the item description of Basteer sub-weapons. Buff descriptions of the following items will be written as Critical Hit Level. 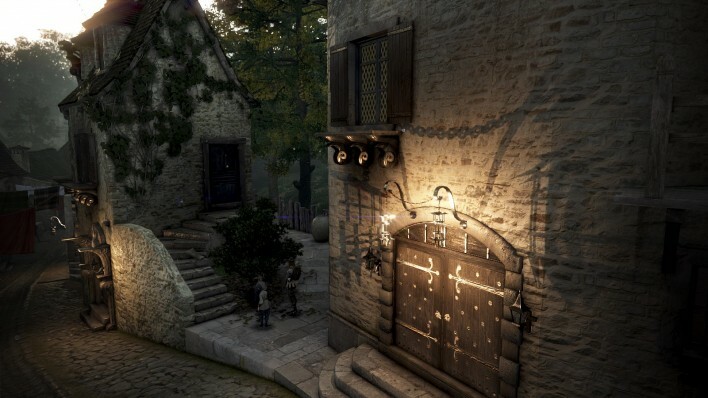 The general goods vendor in Behr village will sell Atanis Firefly. Lanterns and Lantern Oils that were generated after the Aug 30th maintenance have been deleted, and all Adventurers will receive 10 Atanis Fireflies. - You can claim the item before Oct 5th 9:00. - Silver spent on Lanterns and Lantern Oils after the Aug 30th maintenance has been restored. Costumes that have expiration date cannot be extracted. - If you have extracted the costumes that have expiration date, the amount of silver equal to the price of the costume will be retrieved from you. - If you do not have enough silver at the moment, the silver you earn from now on will be retrieved. It has been changed that only the characters that are level 58 or above can use the item Red Wolf Chief Summon Scroll. The amount of exp you can get from Book of Training - Combat has increased. The required amount of time for a successful defense in Savage Rift Stage 1 to 25 has decreased to 4 minutes. Event Savage Rift boss Savage Ogre (Stage 26) will be a permanent content. - You will enter Stage 26 with a 40% chance. If the boss in Stage 25 is Saunil Siege Captain, you will enter Stage 26 with 100% chance. - Stage 26 is extremely difficult. - You can obtain Ogre Ring by low chance from the reward box that you get from Stage 26. If you hit Cyclops with [Savage] Lynch Cannon, the Cyclops will be stunned for 5 seconds by 50% chance. Knock back resistance of the monsters in Savage Rift has increased. The time it takes to install the following objects has decreased. In order to fix the issue where some chain skills were activated in different speed depending on your keyboard input speed and hardware performance, the maximum number of keyboard input within a time period has been limited. - The amount of milk you can get in one milking mini game might decrease due to this change. In order to fix this issue, the amount of milk gathered with a single click has increased by 50%. - You cannot put the same item that is already in your shopping cart into your shopping cart in the Pearl Shop. You can change the quantity of the item in the shopping cart. Fishing boats can now move while changing directions. Fishing boats can now change directions while moving backwards. When Fishing boats stop, they will slide a certain distance and stop naturally according to the law of inertia. Fixed the issue where auto-use Alchemy Stone checkbox was off when you re-enter the game. Fixed the issue where the packed items on your character’s back would disappear when your character boards on the Galley, Old Bartali Sailboat, or Epheria Sailboat/Frigate while carrying trade items. 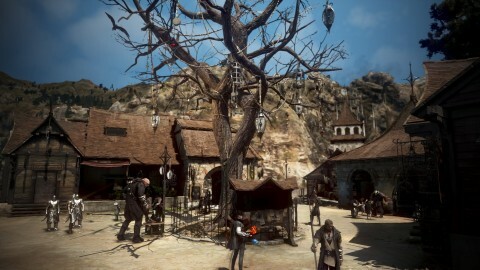 Craftable costumes (Calpheon Noble Dress/Suit, Garnier Troupe Garb, Serendia Smith Garb, Terrmian Casual Wear, Delphe Knight Armor, Orwen’s Travel Wear, Edan’s Travel Wear, Jordine’s Casual Wear, Ahon Kirus Armor, Black Leopard Armor, Shroud Knight Armor, Jarette’s Armor, Valencia Travel Wear) can now be sold to NPC vendors. Chance of looting Black Stones (weapon) from the following monsters in Navarn Steppe has increased by 70%, and the amount of Griffon Beak/Black Leopard Fang that can be looted at a time has decreased from 3-4 to 1-2. A new reward for those who have completed Rulupee’s Travel-related quests has been added. - You can get Edan/Orwen Travel Wear Box upon completing the last quest, Back to the Daily Routine: The End. Auto navigation during Rulupee’s Travel quests has been improved. Fixed the issue where the icon for Rulupee’s Travel quests were Black Spirit icons. Quest completion location for Village of Foggy Lights: Glish has changed. 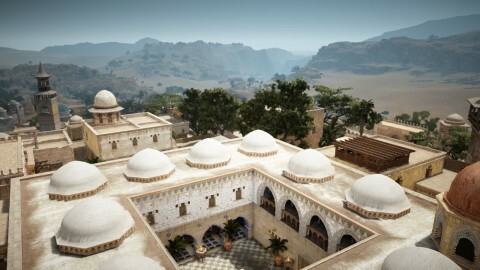 Quests that you can get the knowledge of Calpheon Sea have been added. - You can get all the knowledge in the Peyon Sea, Epheria Sea, Ahrmo Sea, Node Manager (Epheria Sea), and Node Manager (Calpheon) categories. Your max energy will be increased by 10 if you have all the knowledge. - You can receive the quest from the Black Spirit after completing [Boss] Witch-Hunting. 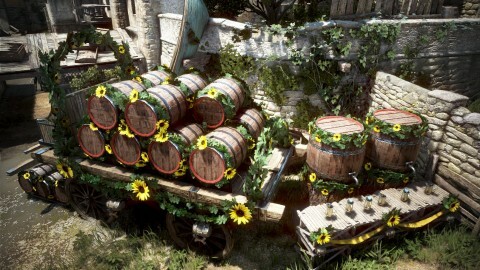 - The quests are available once per family, and will appear on the Recommended Quests section in the Quest menu (O). After completing the quest chain that starts from “A Mysterious Call”, you can proceed to the additional quest where you choose which story you will tell Falasi. - You can choose one of the quests, and will get one of the following Bookshelves as a reward along with a title. Fixed the awkward NPC lines when obtaining the knowledge Alejandro Farm. Awkward lines and typos in some quests and descriptions have been fixed. Auto-navigation during the quest “Strange Devices” has been improved. Chance of obtaining Hard Fragment during the quest [Daily] Second Preparation has increased. The reward for Tiny Light to Drive Away Darkness will be Atanis Firefly instead of Lantern. Fixed the issue were quest objective Baby Lamb was stuck inside a wall. Fixed the camera perspective and NPC lines during the quest Where Adventure Starts: Western Guard Camp. 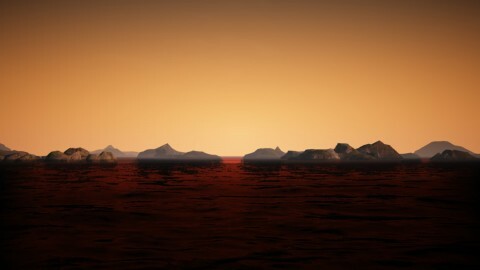 Fixed the issue where the ocean was too dark during the dawn or too bright during the day in the Remaster mode and the Ultra mode. Fixed the abnormal display of shadow in Valencia Desert in the Remaster mode and the Ultra mode. Fixed the issue where [Jukebox] Spring of Balenos was too bright in the Remaster mode and the Ultra mode. Fixed the abnormal camera angle while interacting with Origin of Clear Water in Glutoni Cave. Fixed the occasional frame drop in Protty Cavern. Fixed the issue where the characters would fall from certain location in Keplan where there is an elevator. Fixed the issue where the characters would stuck between Grana 6 and the stairs. Fixed the issue where the characters would fall into the rocks in Roud Sulfur Works. Fixed the issue where the characters would walk inside Junaid River. Resources around Abandoned Land can be gathered only once. Fixed the issue where there was light coming from the ceiling in Mediah Castle. 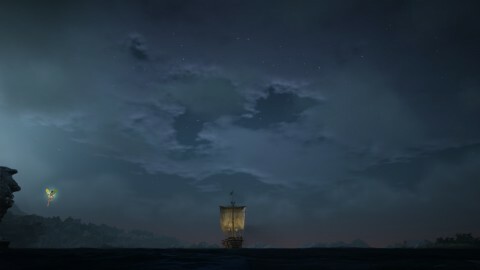 The mast of a ship will look darker when it is transparent. Navigation around the castle wall in Cron Castle has been improved. Horse Market and Breeding Market have been removed from NPC Nardin’s (stable manager in Ahib Conflict Zone) menu. Fixed the issue where some Goblin NPCs in Western Guard Camp were buried in the ground. You will be able to control your character even when you are attacked while extracting gear using the menu in Blacksmith NPCs. When the intro video is playing, you can click on the full window screen button to see the video in full screen mode. 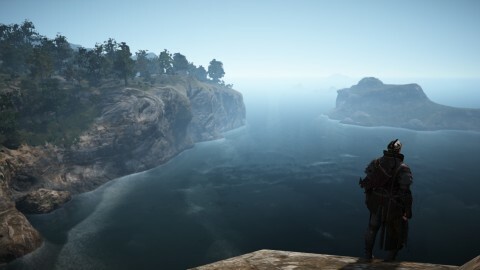 Fixed the excessive camera effect while horse riding. When you are too far away from your party members and cannot receive the party bonus, an X will be displayed on the icon that shows the distance between you and your party member. Sentences will be abbreviated in the Pearl Shop so they do not go over the designated section. Fixed the issue where the game did not work after setting the interface size to 100%. Fixed the issue where the following UI was still visible after turning them off and reconnecting to the game. When you proceed the tutorials while not using the separable HP bar, the gauge will be displayed when the tutorial quest is explaining HP/resource bar. Fixed the issue where the crown image of the guild that conquered Valencia appeared in silver. Fixed the issue where some completed Challenges overlapped. Fixed the issue where the HP bar appeared in two lines after dying when you are in a Horde. Fixed the issue where your family/character name would overlap with your guild name or the time you played the game in the My Profile menu. Delete other players’ Lanterns option has been removed. Fixed the issue where the quest widget was still active even though there are no quests. Fixed the issue where the title of the quest and conditions to accept the quest were not properly displayed in the quest widget. Fixed the issue where the Guild Alliance Status and the text in the Guild Alliance Invitation overlapped. Fixed the issue where Guild Emblem of the guild that owns a node was not visible in the world map after applying node war filters. The system message that appears when you click on the icon of the ship that you cannot use or is too far away has changed. Fixed the issue where the game crashed while moving. Fixed the issue where the game froze and the world map would not close after being disconnected due to internet connection problem while the world map was open. 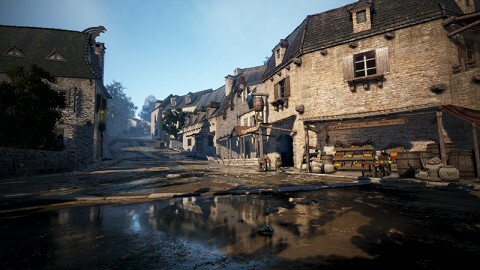 You can now adjust the volume of the music that the musician in Velia/Heidel plays. Fixed the issue where the sound for Courser Awakening Success/Failure was not played properly.